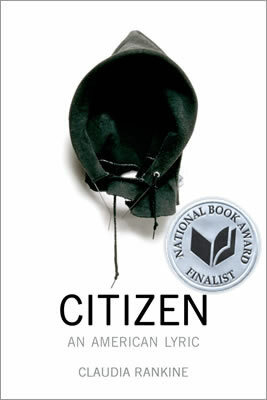 If ever there was a book for and of its time, it is Claudia Rankine’s Citizen. Rankine, a poet and essayist, considers what it means to be a black American in 2014, six years after the election of the first black president. While there was much talk in 2008 and 2009 about America entering a post-racial era, it was mostly a naïve wish. Of course, what we learned was that we were entering an era in which racists were the ones who felt rejuvenated, crawling out from under their rocks to spew hate in every direction, but particularly toward the (half-) black man who dared to occupy the White House. Those who pay attention to issues of race, culture, and economics may know quite a bit about these subjects. But do they understand what it means to be black, here and now? Do they understand what it feels like to go through life with your skin color defining you before you have a chance to say or do anything on which you might more fairly be judged? Only the smug and arrogant – and most oblivious — would make such a claim (as we have seen frequently in the media, particularly in the last few weeks). One can argue that substantial gains have been made and that life has never been better for black Americans. But rather than nearing the end of this journey toward true equality and acceptance, we are discovering that the oasis ahead was a mirage and that we have miles to go before we reach our destination. Rankine makes this clear by taking us on a personal and conceptual journey through the contemporary black experience in Citizen. Through a hybrid of prose-poetry essays and more traditional poetic approaches, Rankine forces readers to face the daily reality of being black. It is, in many ways, a case of death by a thousand cuts. Citizen is divided into seven parts, each of which addresses a different aspect of, or takes a different approach to, the subject. The philosophical, almost stream of consciousness introduction moves into a series of incidents in which black Americans encounter the manifest forms of racism, from benign ignorance to virulent hatred. Rankine has explained in recent interviews that these experiences came mostly from friends and colleagues, as well as her own life. In another, a black woman visiting her alma mater is joined at lunch by a white alumnus, who proceeds to explain that her son was not accepted at their prestigious college because of affirmative action or some such program, as if the black alumna were somehow responsible for either the policy or the school’s legacy decision. Even a skeptic will be forced to acknowledge that a constant onslaught of interactions – most of them negative — based on one’s race would be exhausting, disheartening, and eventually infuriating. Rankine reviews an earlier incident, at the 2004 U.S. Open, in which the chair umpire was excused from officiating finals matches after making five egregiously bad calls against Serena in her semifinal match against Jennifer Capriati. “Though no one was saying anything explicitly about Serena’s black body, you are not the only viewer who thought it was getting in the way of Alves’s sight line.” That match led to the introduction a year later of the Hawk-Eye line-calling technology. The 2009 incident is thus given context that didn’t exist for most viewers at the time, who wondered, as did Rankine, if Williams had (finally) lost her mind. By piling up these painful anecdotes, Rankine simulates the experience of being black. But Citizen is not a laundry list of complaints or an exercise in self-pity. 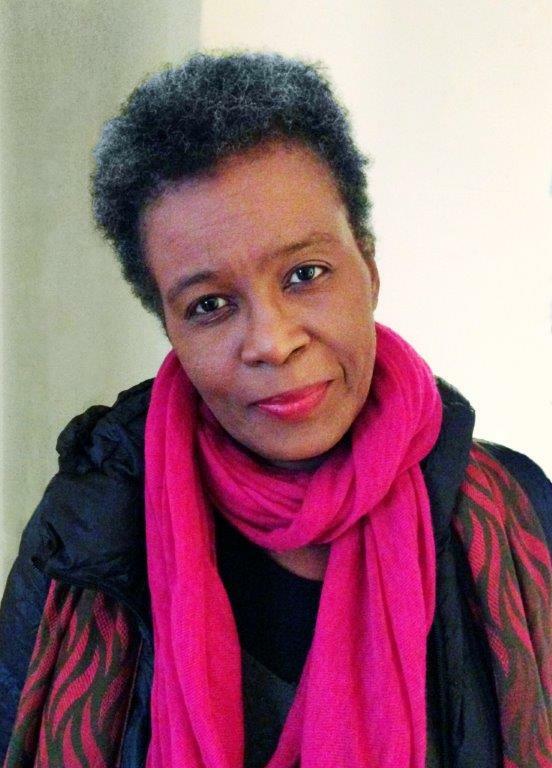 After sensitizing the reader by guiding us for a mile in black shoes, Rankine shifts to a deeply felt analysis of the consequences of implicit and explicit racism, concluding that one can’t simply shake off a lifetime – not to mention a racial and cultural history — of such experiences and pretend it doesn’t exist. Much of the second half of Citizen comprises prose narrative “scripts for situation videos” that Rankine made with her husband, John Lucas. These scripts take us through a series of deaths of black men and boys at the hands of whites, often police officers, including early 20th century lynchings, the Jena Six, James Craig Anderson, and Trayvon Martin. Rankine also considers such related matters as New York City’s “stop-and-frisk” policy, which unfairly singled out black men (“And you are not the guy and still you fit the description because there is only one guy who is always the guy fitting the description”), the contrast between U.K. and U.S. media reporting on race-related incidents, and the 2006 World Cup head-butting incident involving France’s legendary soccer player, Zinedine Zidane, who is of Algerian Berber descent. A section on Hurricane Katrina is particularly wrenching, as she interpolates multiple voices. Rankine has crafted a multi-faceted exploration of the contemporary black American experience that succeeds both as a work of literature and a public service at a time when such an exploration is desperately needed. Now, if only we could put a copy of Citizen in the hands of every American adult.